Are you getting upbeat about your child’s school resumption? 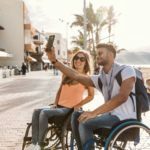 No doubt, there will be significant changes in the accustomed routine when returning to school after a spinal cord injury (SCI). However, keeping some considerations in mind and taking some actionable steps can help make the transition easier. Give full consideration to the overall accessibility of your school and this might mean finding a new school if the previous one is not suited for the physically challenged. 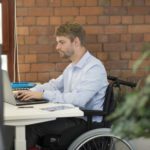 Most modern schools are designed for full accessibility and are, therefore, wheelchair accessible, which might not be present in older schools. Ensure your child can have direct (i.e. unassisted) access to different areas of the school such as the cafeteria and library. Also, have a look at the playground and see that the fun equipment are accessible so as to ensure your child can participate in outdoor activities. Another important factor to determine is your child’s access to convenience facilities. Either on his/her own or with the support of a caregiver, the bathroom facilities should adequately cater to their needs. It is easier for your child if you have a car and drive them to school or employ the services of a private chauffeur. If this is not possible, check to see that the school has an accessible means of transportation. Consider the pick-up and drop-off point and ensure the safety of your child is not compromised. The ultimate purpose of schooling is learning and this aspect deserves the utmost consideration. What is the teacher-student ratio? You should make sure that your child is not enrolled in a school where the student to teacher population is high. This can affect his/her learning process. 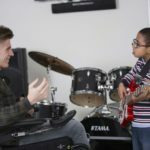 Being a wheelchair user means that your child may require extra attention and this is only possible when a teacher is not overwhelmed. As a rule of thumb, always discuss your child’s needs with the school and keep in touch with other parents. Can You Spend A Day At Home Alone?